I just upgraded to RStudio 1.2 on MacOS and am excited about the new features. 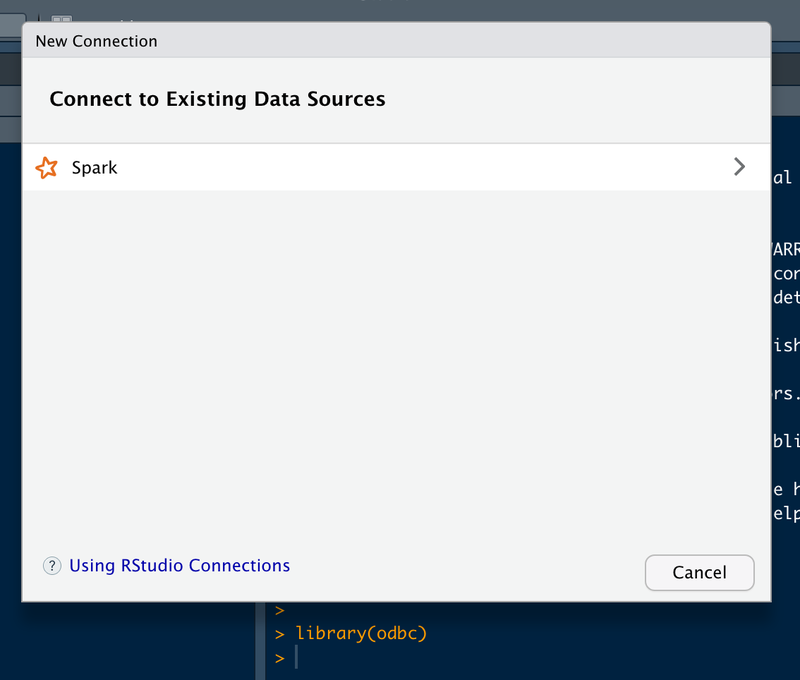 However, it seems like the only driver that shows up on the connections pane is Spark even though before upgrading other drivers were available (e.g. odbc). Does anyone have any idea why this might have occurred? Can you first verify that you are still able to make a connection using DBI::dbConnect(odbc::odbc(), ...)? Yep, I can make odbc connections from a script. Do you see the drivers when you run odbc::odbcListDrivers()? Hmm, I do not. I do not see the Spark driver either although that one shows up.